Wrapping silverware with wires and beads is one of those crafts that is surprisingly simple, does not take a lot of time and is a fun way to express your creativity. The wrapped silverware makes excellent gifts because they can be used every day or for a special dinner party. Wire-wrapped forks, spoons and serving utensils can add sparkle and interest to any holiday table setting with the addition of silver and gold or red and green wires and beads. Cut a 20- to 24-inch piece of 20-gauge wire. 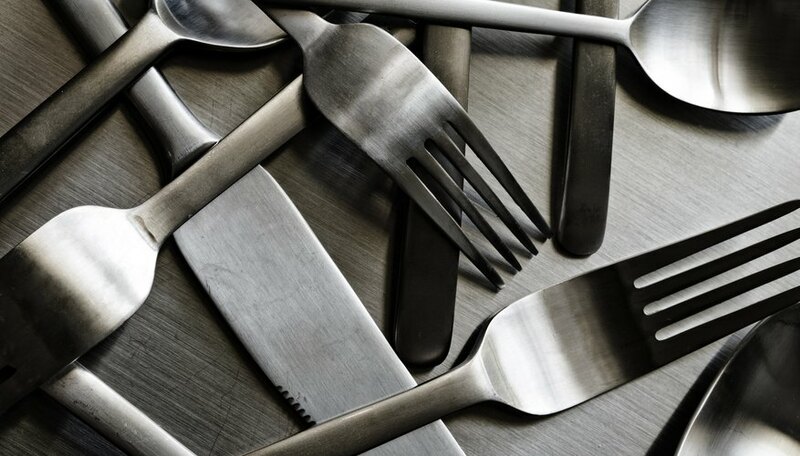 You may need more or less wire depending on the size of your silverware. If you are wrapping serving pieces you will need more. Copper wire makes a nice contrast against the silver, but you can choose any color wire you prefer. Make a spiral starting at the top of your silverware. This spiral will keep the beads from slipping off the wire, plus it also looks decorative. To make a spiral use your needle-nose pliers and make a wire loop around the tip of one side of the pliers. Grasp the loop with the pliers and pull the wire around the loop with your fingers until the spiral is as big or small as you want. You can put the spiral on whichever side of the silverware you prefer. Make sure your wire spiral lays flat against the surface of your silverware. Wrap the wire tightly around the handle twice to anchor. Start adding beads. Use seed pearls or beads, quartz or any type of bead you like as long as they fit on your wire. Thread your bead onto the wire up to your anchor wire and press the bead against the handle with your thumb. With your other hand wrap the wire around the handle to secure the bead, pulling it nice and tight. Add another bead repeating the same process. This is where your personal style will come in. You can lay beads on the top side of the handle only, or if you are using smaller-sized beads, you can have the beads cover both the front and the back. Also, if you choose, you can space your beads leaving some of the wire exposed. You can change your design because you are not gluing anything in place. The wires and beads are removable and adjustable to any specifications you want. Continue to wrap the wire and beads down the length of the handle, keeping the wire tight as you wrap. Stop when you have just enough wire to make another spiral at the end. Use larger-gauge wire to fit smaller beads. Add small charms at the beginning, end or in the middle of your bead work. Wash your beaded silverware by hand with a mild dish soap.